The Pelikan 400 is my weapon of choice but it’s no war horse, for that I’ve got a battle hardened Kaweco Sport, which never leaves my pocket. A Lamy Safari in charcoal with a fine nib but which in fact writes with a width between a medium and broad. This takes the rough treatment. A Kaweco sport Chess in black is a regular shirt or jacket pocket pen but doesn't go to war. It was a Sailor Pro Gear Slim in black with EF nib. The Pilot Prera with a fine nib that I received Saturday is definitely my new war horse. 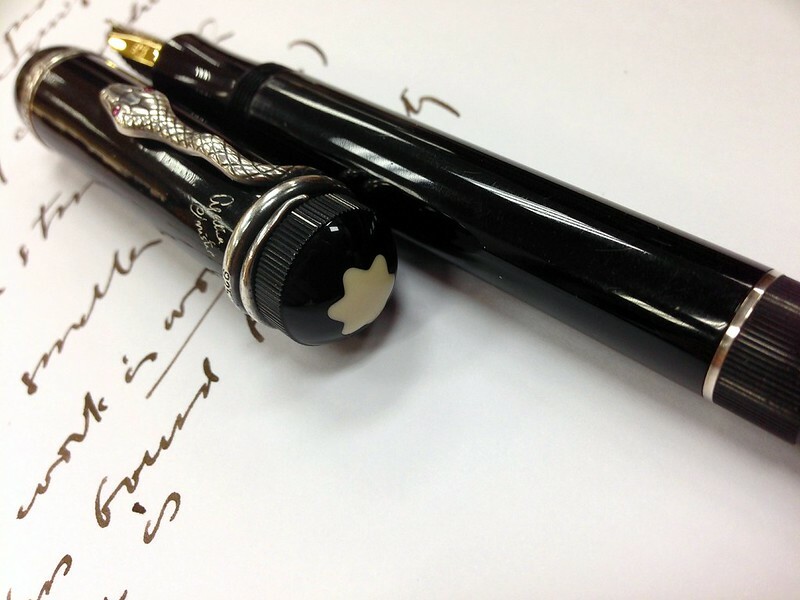 The Sailor will still be my formal pen, as black and gold look great. But, the Prera is a fantastic writer at a price point that makes it less of a worry if the pen were to be damaged or lost at work. I also prefer the snap cap at work, as doctors tend to be impatient when giving orders. Edited by bardharlock, 19 May 2014 - 19:09. A 30 year old Parker 45 TX with the a buttery smooth 14k medium nib ... love this pen. Someday when the budget suits you might want to look into a Pilot VP. No cap at all; just a push button mechanism. Works great when you're on the floor in sales and I'm told doctors on rounds also like it for that reason. I find mine to be smooth and dependable writers. Get a F nib and you won't have issues with forms either -- and the ink will go further. "Behold, He who watches over Israel neither slumbers nor sleeps!" Mine is another Lamy 2000. I always fancied the idea of one faithful pen - one for which warhorse would be an apt name - but had too many nice pens, so my daily writer was one from a rotation of maybe 10 pens. Then I got my old Lamy 2000 fixed and all the others have had an easy time of it ever since; must be six months or so now. My Targa 1007 is almost always inked. My MB Starwalker... Honestly, it's my favorite for no reason other than it was my second fountain pen and my Phileas was recently damaged beyond repair. It's been around the longest, and so it somehow wins. I am with you on that. I wonder how many others would say the same? 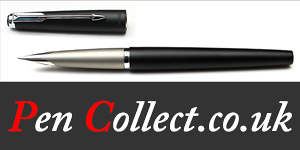 I have one of my first fountain pens, a Pelikan M200 (I think!) in Tortoiseshell that I absolutely love --- the nib is kind of odd from use and from wear and tear, so it has a slight sharpness that gives it a stroke that I don't get from any of my other pens. So it's the one I always want to try new ink in. Kaweco sport. rugged and compact enough to take camping, mountain climbing, sailing, cycling any where in the out doors. its little nib is very nice. What he said. See pocket just to the right of Dino The Killer Chihuahua (affectionately known as 'Cuda Dog). My college pens, a pair of Parker 45s (which I sadly no longer have ) and a Parker 180. Right now I rotate through several different pens, that none can be considered my primary pen. The one pen of mine that certainly lives up to the title of 'War Horse' would be the Geha Schulfüller. It has clearly being put through its paces several times over before it came into my hands, gold trim has all but disappeared, numerous scratches and some tooth marks, and the cap needs a little extra care when screwing it back on. Yet, the nib is great, it starts up every time, and the piston is perfectly smooth. I have three, a Lamy 2000 EF, currently inked with Private Reserve Electric DC Blue. 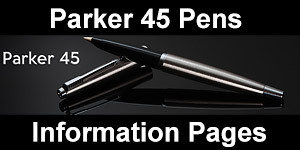 A brand new Pelikan M405 F inked with Private Reserve Black Magic Blue. Then I have a Pelikan M205 Blue Demonstrator with a 0.4mm Stub ground by Richard Binder; it's inked with Private Reserve Invincible Blue. So I tried unscrewing the nib section from the kuro tamenuri LP and putting it on the solid black Piccolo (the first Nakaya I bought (in 2008)). And lo! the transplant did work! So, for several days, the black Piccolo with a kuro tamenuri nib section has been my war-horse pen. I'm the complete opposite. My current go to work pen is a Pilot 78G fine with a proprietary cartridge fitted. It does the job and nothing more!